for $494,500 with 5 bedrooms and 4 full baths. This 4,321 square foot home was built in 2016 on a lot size of 0.500 Acre(s). 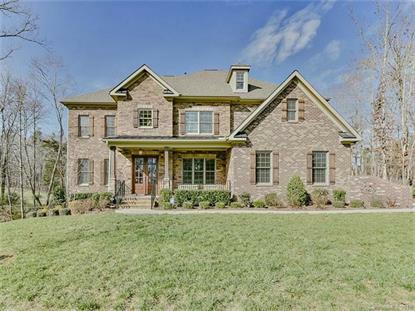 Gorgeous 5 BR 4 BA all brick home in the highly desired Weddington school district. Downstairs offers 2 gas fireplaces in the den and family room. Downstairs bedroom with full bath attached... perfect for an office or guests. Beautiful kitchen with white cabinets, granite countertops, gas range and wall oven. Double staircase. Hardwoods throughout 1st floor. Spacious Master suite with sitting area leading to a luxurious master bath with his and hers closets. Large bonus room perfect for a game room or man cave. In ground irrigation. Tankless water heater. 3 car garage. WOW You don't want to miss this one! Motivated Seller!